Soaked shrimp in Mei Guei Lu, then fry with red chili. 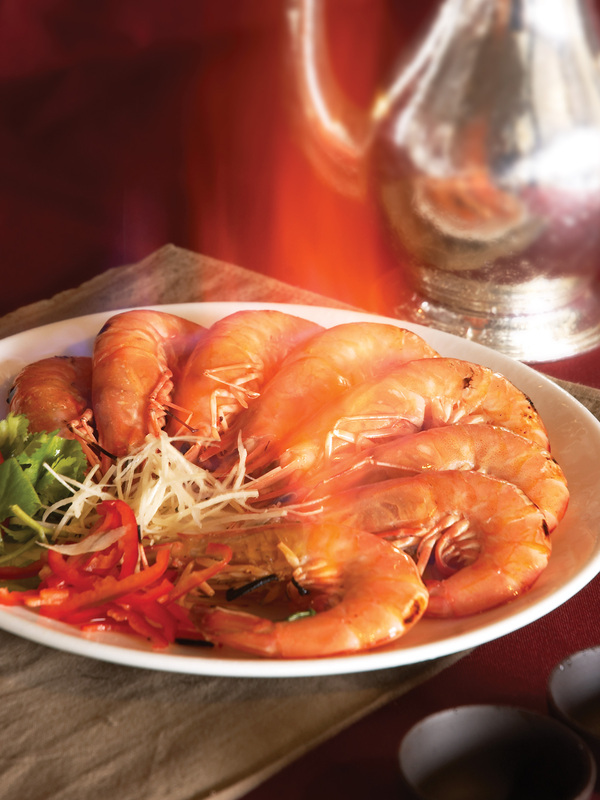 Fragrance of wine and chili highlights the freshness of shrimp. Cooking in front of customers, elevates dining experience in Jumbo to next level. 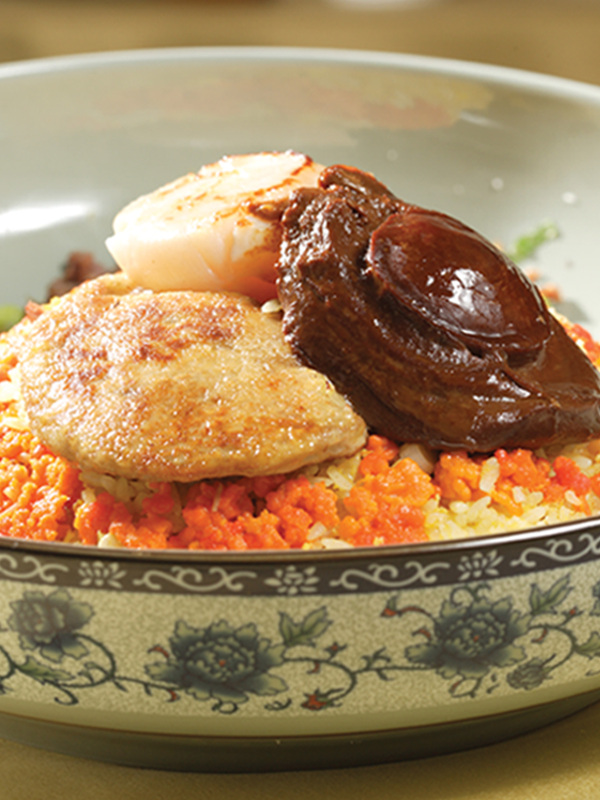 Dragon Court’s Imperial Fried Rice (Zhongnanhai) is not the average fried rice. With using French Foie Gras, Le Confit de Canard, Crab’s cream, Australian abalone, Jumbo scallop, the harmonious combination of various luxurious ingredients surprises your palate.